Despite the fact that there are no permanent answers or solutions, the team’s actions as human rights witnesses make an impact, and it is this flicker of hope amid unimaginable pain that propels the narrative forward. We are privileged to see this humanitarian work, to hear the voices of those directly affected, and to have an opportunity to empathize with the ordinariness of the lives of the four investigators. We are also able to see the results played out on the global stage. 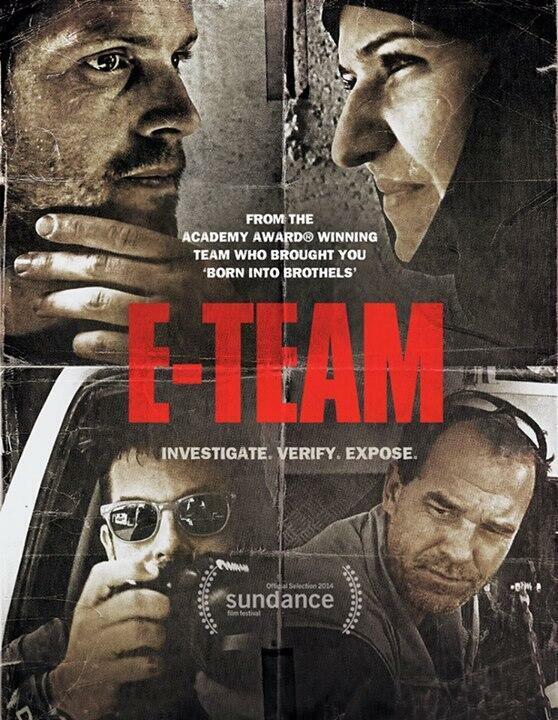 E-Team documents a remarkable exercise in international justice that, for the most part, goes unheralded in our mainstream media. What Solvang, Neistat, Abrahams, and Bouckaert do matters, and it is far riskier than they might admit. In fact, one of the cameramen for the film was the late James Foley. The film is dedicated to him.